Miller Heiman Group , the largest dedicated workforce performance improvement company in the world, helps companies and their business leaders around the world build and sustain customer-focused, high-performance organizations to drive profitable revenue and predictable top-line growth. Revenue Storm is known for their program, which changes the behavior of the sales team, boosting sales success. They get to the underlying behaviors, habits and relationship-building that will support sales professionals in building mutually-beneficial sales strategies for growing new and existing business. ClearPoint Learning Systems is committed to creating instructionally sound, accurate, interactive and media-rich educational and training solutions that deliver measurable success to clients. They offer training solutions in areas such as new hire training, advanced selling skills, live training events, product launch, globalization and coaching. Scotwork NA is the North American division of Scotwork, an independent provider of negotiation skills training and consulting, founded in 1975. Spanning more than 20 industries, Scotwork NA’s clients have a wide range of specialties, including sales, procurement, logistics, operations, brand, technology, HR and the executive offices. Sales Readiness Group’s (SRG) singular focus is helping sales organizations improve sales performance through industry leading sales training, sales coaching and sales management programs. Raytheon Professional Services (RPS) is a global leader in training services that help world-class organizations drive workforce performance across the enterprise. RPS brings a consultative approach to working with clients across a wide range of industries and global markets. RPS supports clients in more than 125 countries and 28 languages. Carew International provides innovative, high-impact development programs to support excellence in sales, sales leadership and customer service. Carew’s interactive format is designed to engage participants with real-life challenges. Their programs are offered as customized experiences to address the challenges, needs and culture of each client organization. Drawing on their extensive library of proven content and tools, DoubleDigit Sales leverages their streamlined design process to deliver customized learning experiences that change behaviors and drive improved sales results. 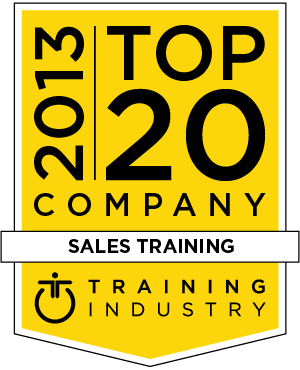 The RAIN Group is a sales consulting and sales training company. RAIN Selling helps clients succeed with selling, strategic account management, sales management and sales coaching. They take a blended approach to training that includes sales team evaluation, customized training programs delivered live and online, robust reinforcement and coaching.